Uncle Albert is a Tug boat style Classic Norman River Cruiser, Good ol’ Uncle Ablert has a built-in stereo and is ideal for large groups or families. This boat can seat up to 8 people. 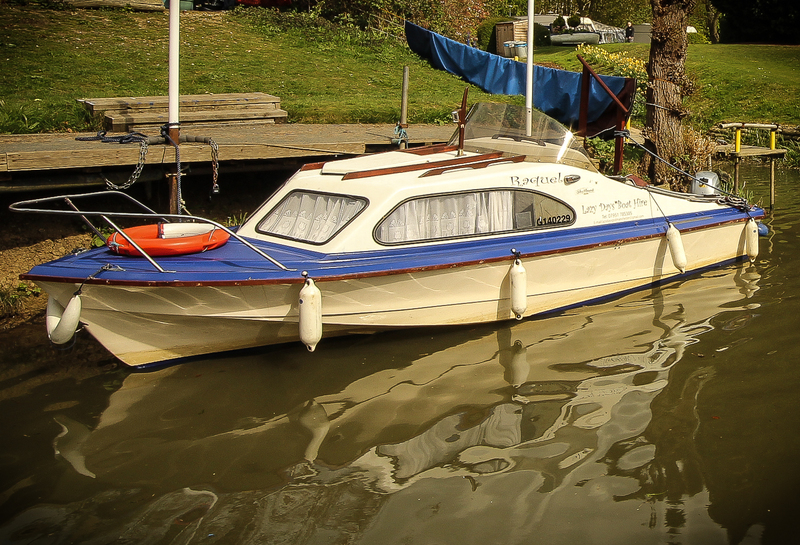 Del-Boy is a 16ft Stylish American sports boat. He features a fold down canopy, built-in stereo and seating for upto 7 people. Raquel is a 16ft cabin cruiser, a pretty family boat with fold down canopy, built in stereo and seating for up to six people. 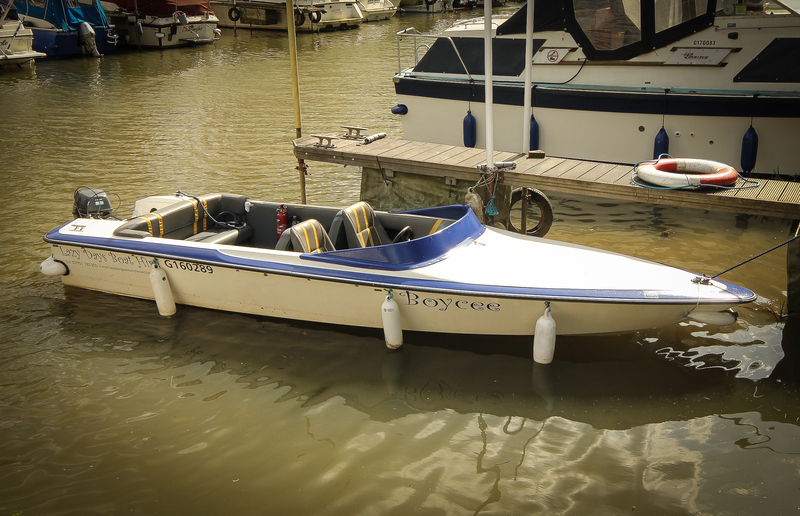 Boycee is a 17ft sports cruiser. He features an open top, built-in stereo radio and seating for up to 6 people. Marlene is a 16ft Cabin Cruiser. 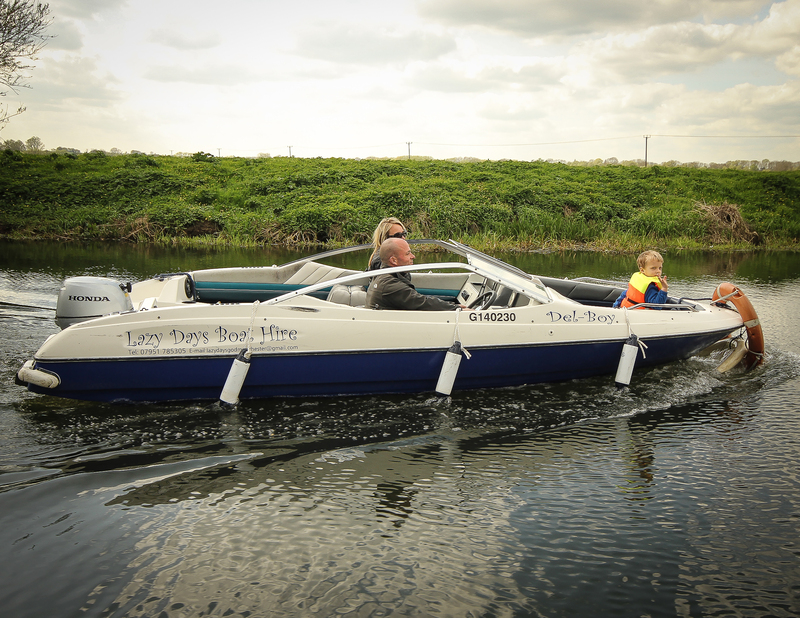 A sleek, sociable boat with built in stereo and seating for up to 5 people. 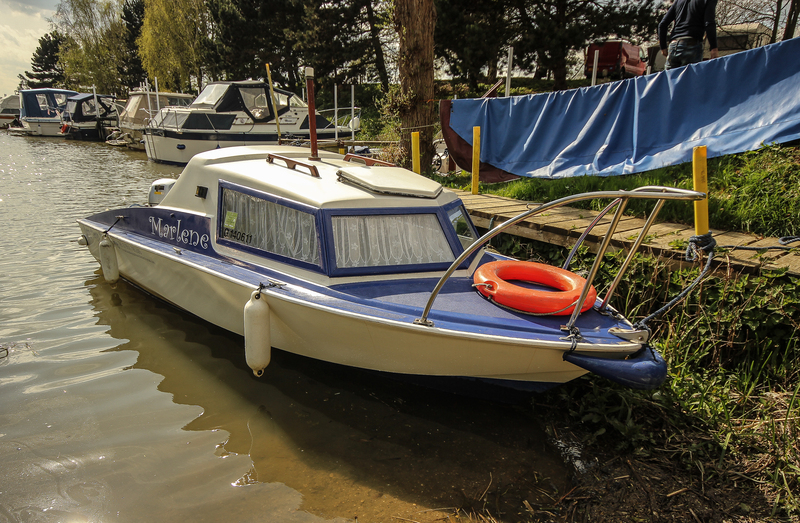 Take your family and friends on a memorable boat ride, explore the beautiful river Great Ouse and local sights for yourself.